Lots of dress up days at HOPAC this term. This one: Crazy Hair Day. The Tanners were staying with us that week so Caleb and Imani got in on the craziness as well. And here we have Sadness and Disgust. Book week: Quicksilver, the Owl from Why Mosquitoes Buzz in People's Ears, and a Masai girl from We All Went On Safari. When he's not creating amazing costumes for our children, Gil is teaching in our theological training program. One of the best parts of HOPAC is Service Emphasis Week, when the entire school goes out on service projects. These next few pictures are from Lily's first grade class playing with the kids at a local pre-school. Meanwhile, Johnny started his own long-desired pre-school classes twice a week. The most important part is the backpack, of course. Grace played U11 basketball this term, and her amazing coach is there in the background. On the day of the final tournament, HOPAC had enough players for two teams. They both won their brackets, which means they played each other in the final game. When the two teams started off the game with handshakes, they quickly turned to hugs. It was all pretty wonderful. Sweating for Jesus on our church's sports day. It just happened to be about 110 degrees that day. Yes, I did just about die. Thanks for asking. Our friend Grace, who has been through our training program. Our own Grace, winning the sack race. Me not winning in musical chairs. Reuniting with our Lotta, whom we hadn't seen in about three years. She was my student in grades 5 & 6, then she was Gil's student, and she even lived with us one year. We love her. Reuniting with our friend Zahir, way back from our first term in Tanzania in 2001. We hadn't seen him in about 13 years. We love him too. Gil was invited to be the keynote speaker at a retreat over the Easter weekend. 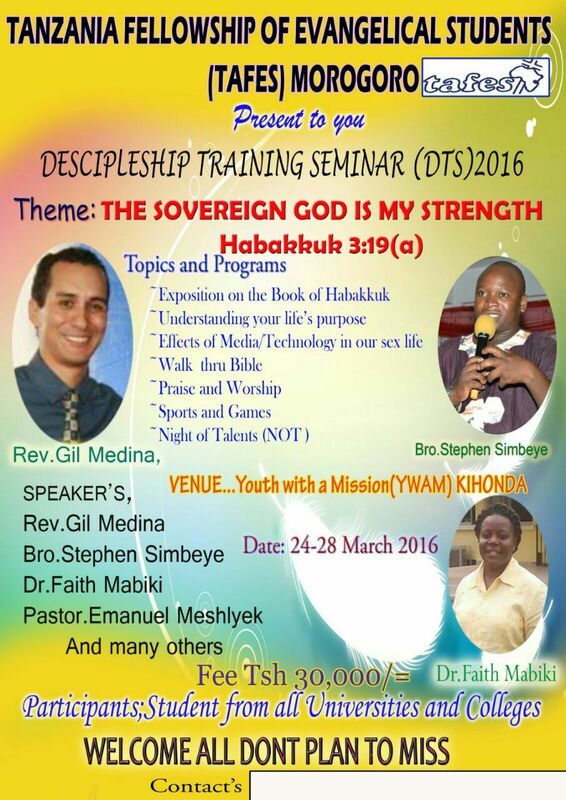 This conference was for university students, with an organization Americans would know as InterVarsity. Gil got to teach about 80 university students for 3 days on the book of Habbakuk. Since the kids were on spring break, we all headed to Morogoro with him (about 4 hours away inland) and enjoyed the slightly cooler weather there. Last week, I needed to buy 76 liters (20 gallons) of ice cream for an all-school event at HOPAC. So I headed out to our local grocery store and asked the manager if I could order 76 liters of vanilla ice cream to pick up on Friday morning. After all, this is not Costco. This store doesn't normally carry that much ice cream. The manager and I got the order all sorted out, and then he re-appeared with a plastic grocery bag tied at the top with a shiny ribbon. This is a thank-you gift, he told me. Now, before I show you the contents, let me assure you that I am not complaining. Customer service is not assumed around here, so I was quite pleased that the manager thought to extend this gift to me. But I was also quite amused. This, my friends, is a very handy kitchen tool meant for microwaving apples. We unfortunately do not own a microwave, though I'm not sure that cooking apples in a microwave has ever been a top priority. You know what this means, don't you? I now have in my possession the most perfect White Elephant Gift ever. Shhh.....don't tell anybody. We were mingling in the courtyard after church. I was trying to keep track of my kids and was slightly distracted when the woman approached me. I spent the first few moments trying to figure out if I knew her, since I'm still desperately trying to put names with faces at this church. But when I realized she was only using Swahili with me, I figured I had never met her, since almost everyone at this church speaks English. I shook her hand and smiled. I'm looking for work, she told me. Please, I'm looking for work. I need to pay my son's school fees. He's in Form 4. Do you have any work for me? I can take care of your children. I can wash your clothes. I can sweep your house. She spoke quickly and eagerly. I gave her a sad smile. I'm so sorry, I said. I don't have any work for you. I already have someone who works for me. I will pray that God helps you, I said. Please, she said. Tell me if you know someone who needs work. I need to pay my son's school fees. Okay, I said. I'll let you know if I find someone. But I knew I wouldn't. Because I'm already trying to help someone else find work. Because I get this request all the time. Because there's 40% unemployment in this city. I realized last week, as more people read my blog than ever before, that my most popular posts have criticized short-term missions, revealed the ugly flaws of missionaries, and torn apart international adoption. I was one of those idealists in college. You know the type--with their flushed cheeks and sparkly eyes, passion in their voices, volunteering for all sorts of noble causes. I was going to change the world. I never wavered in my ambitions, and I signed on to become a full-time missionary when I was all of 21 years old. I think of all my confidence in so many solutions that I was sure were the answer. And here I am at 39. Fourteen years as a missionary in three different ministries. Yet sometimes I feel like all I have seen is various forms of brokenness....in the problems, of course, but also in what I thought were the solutions. And in myself. In the last few months, we've been devastated by massive brokenness in our mission leadership and in our Tanzanian church leadership. We cry; we question; we rage. We keep going, but it feels like everyone around me is limping. I could choose to deny the reality of this brokenness. I could watch a lot of television and eat a lot of chocolate and choose to turn my back on this reality. I could try that, if I avoided the news and stayed at home all day. Yet all I have to do is go to church and I meet a woman who can't afford to send her son to school. Or I could descend into despair. Many do, and it beckons me. Sometimes the temptation is strong. Or I could look to this Sunday. I can look--once again--to my confidence that Jesus existed, that I can trust what the Bible says about him, that he really did enter into our madness to bring us hope. I can remind myself that his death and resurrection really were the pinnacle of history, the axis around which everything else revolves, and the assurance that all really will be made right some day. Jesus really is the only reason I have hope. Without him, this world is just some cruel joke, some accidental freak of nature that will, eventually, disintegrate back into nothingness. Why try to fight it? Without him, denial or despair are my only options. Because of Sunday, I can have hope that he makes all things beautiful: failed missionary efforts, corrupt adoption, desperate mothers in poverty. I can have hope that eternity does exist, that God does know what he is doing, and that one day, it will all make sense. I can get up in the morning and know that everything I do has purpose, that my small story is part of one grand story, and that this tragedy most certainly will have a happy ending. A few years ago, we began the process to adopt a child from Ethiopia. We did the homestudy; we filled in the ridiculous amount of paperwork and spent a ridiculous amount of money; we went through the on-line training. We requested a healthy baby or toddler boy. Our dossier was sent to Ethiopia....and then in the wake of the huge adoption slowdown in that country, our agency lost its license. Eventually, for a number of reasons, we gave up. I've thought about that experience a lot as I have been doing this research, and how close we came to being directly involved with everything I read about. A friend recently shared with me the story of her adopted daughter from Ethiopia, who is now an adult. She was adopted as a small child, and their agency told them that their daughter's family was untraceable. Yet a few years later through a big coincidence, she and her husband were able to track down their daughter's birth family in Ethiopia, and get into contact with them. What they found out forever changed their perspective on international adoption. They discovered that their daughter was indeed an orphan, but was being raised by an aunt and uncle who loved her and her older brother. One day, social workers came to their village. They rounded up all the babies and small children who were orphaned or impoverished, and told the families that they would be better cared for in an orphanage. This little girl was one of these children; they left the older brother behind. The social workers only wanted the small ones. In fact, though the birth family knew the child's exact birthday and that she was five years old, the adoptive family was told she was three. The children were taken to an orphanage, and without the knowledge of the families, quickly put up for adoption. The aunt and uncle said that they tried and tried to get in touch with the orphanage or the social workers, but could never find out anything about their niece. After enough time, they assumed the little girl was dead. They heard nothing more until the day a few years later when my friend--the adoptive mom--was able to contact them. Eventually, the adoptive family took their daughter to Ethiopia to meet her biological family. The family was thrilled that their niece was alive and doing well, and everyone involved is content with the situation. But the hard reality is that the birth family was never consulted about their niece being adopted, and it might not have even needed to happen. It's absolutely sickening that something as beautiful as adoption could be high-jacked by people who just want to make a profit--even at the expense of the world's most vulnerable children. I started out by saying how UNICEF had become enemy. I even mentioned it a few times in posts on this blog. But I get it now. I still strongly disagree with some of their philosophies, but I get why they encouraged Tanzania to tighten up on their adoption regulations. I get why they say that non-citizens should be residents for three years before they can adopt. Because until Tanzania is ready to implement the Hague convention, the only way they can protect their children is by shutting out international adoption. I think back ten years ago, to the time when we went to pick up Grace from her orphanage. The room was filled with beautiful, healthy babies, yet Grace was the only one who was eligible for adoption. The rest had locatable family members, and the hope was that someday they would be reunited. However, I wonder what would have happened to those babies if money was infused into the adoption system, but with no regulation? 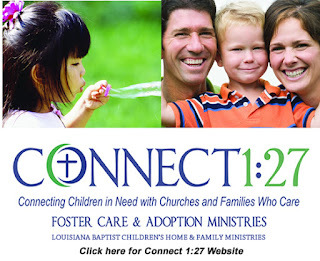 If the orphanage suddenly found itself receiving mandatory "donations" for every child adopted? If the lawyers found themselves with regular, lucrative work, and the social workers were benefiting under the table? Assuming history would repeat itself in Tanzania, then all of a sudden those "unadoptable" babies would lose their paperwork. The motivation to reunite families would be gone. And when those babies were "used up," more would be found. After all, there's got to be a supply to fill the demand. And that's why I'm fighting against this in Tanzania. I've always been a proponent of domestic adoption in Africa. I always thought that it could exist side-by-side with international adoption. But now I understand that domestic adoption--that mindset, those values, must be in place first, before international adoption can take place. I pray often that our family sets an example for Tanzanian families that adoption is good and beautiful and possible. We talk about it in our pastoral training program. In fact, we currently know two Tanzanian couples who are pursuing adoption right now because of what they saw in our family. To God be the glory. I pray that there will be more. There needs to be more. This series has gotten more traffic than anything I've ever written on my blog. Yet I must admit that even though I'm glad the word is getting out, I'm not super excited about it. I lost a lot of sleep this week. I hate that I felt compelled to write about this. I hate that it's even true. I hate that it's going to turn off a lot of people towards considering adoption. I hate that it will make people look suspiciously at the adopted children they know. I hate that these posts throw a bucket of sludge onto something that should be good and beautiful. First, we remember that God redeems. Children are left as orphans, and adoption redeems them. We screw up adoption, and God can redeem that too. Please don't use this series as a reason to never consider international adoption. Please don't use this series as a reason to question the motives of the adoptive parents you might know. But let's work harder not to screw it up in the first place. I've always been an advocate for adoption, but I've also been an advocate for poverty alleviation that helps and doesn't hurt. Before this journey, I never thought about the connection between those two passions. Now I get it. I wish it was simple. Adoption should be, shouldn't it? You want to help a child; there's a child who needs your help. Why should that be so complicated? We must remember that even in the best intentions, sin is there. Even in the purest form of worship, the highest form of service, sin is there. Any endeavor on this side of heaven is tainted by sin. And any time we forget that, we give opportunity for that sin to fester and grow. In everything, we must be on our guard. Love the orphan....but love her family first. Love adoption....but only when there are no other options. Keep our eyes open. Listen to the critics. Trust in God's sovereignty....but refuse to knowingly participate in evil. The orphanage director in Tanzania was initially thrilled to receive the email: "We want to adopt Freddy!" Freddy is five years old, was abandoned, and has HIV. He is handsome, friendly, and desperate for a family. In just a few short weeks, the plan was to transfer him to a long-term orphanage. This family would most likely be Freddy's last chance for a real home. Then the director realized that the adoptive family are not residents of Tanzania; they live in America. They were working with a U.S. adoption agency who is ignoring Tanzanian residency requirements. She was devastated. She had to tell the family, "I'm sorry, you cannot adopt Freddy. My orphanage, and our local social workers, will not allow American families to break Tanzanian law." Do you see the dilemma? On one hand, there are unscrupulous agencies, who are working with unscrupulous lawyers, who could very well make Freddy's adoption possible. He would no longer be an orphan; he would be a son and a brother and have every opportunity at his fingertips. Or, he could live the rest of his life in an institution where his needs will be met, but not much more. It's the kind of ethics that college students debate about but never really have to face. Do the ends justify the means? Sure, we want to clean up international adoption. Sure, we want to end corruption and bribery. But what about the children? What about the ones who really do need adoption? What happens to them? This is the question you must ask yourself: Is it worth it for Freddy to be adopted, if it means that hundreds of other children will be subsequently, unnecessarily, separated from their families? There's a strong correlation. 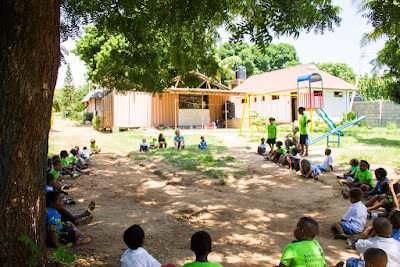 Opening the way for Freddy to be adopted by breaking Tanzanian law would pave the road of corruption that leads to the exploitation of hundreds of other families. And I am confident of this because it has been documented in country...after country...after country. 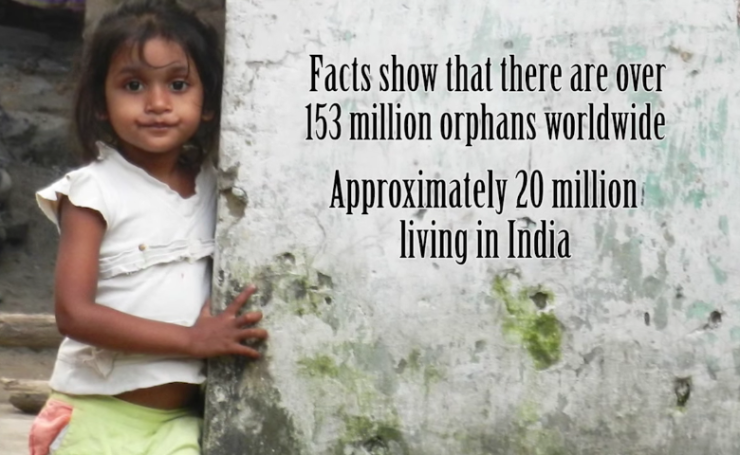 This is why we simply cannot see international adoption as the answer to the orphan crisis. It is one of the answers, but only in countries where the process is heavily regulated by a strong central authority. That means that for kids like Freddy, it's much better to support, encourage, or even start(!) programs and plans within the country to help orphans, instead of adopting them out. 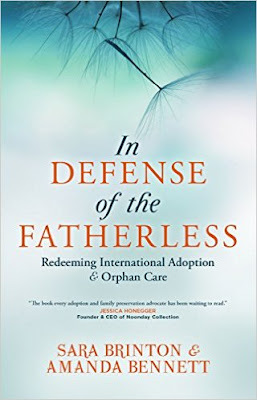 In Defense of the Fatherless: Redeeming International Adoption and Orphan Care (by Amanda Bennett and Sara Brinton). In some ways, this entire series is a summary of this book. I have read over a dozen books on adoption, covering adoption theology, adoption processes, adoption options. Not one Christian book has dealt with the hard topic of adoption ethics until this book came out less than a year ago. This book is excellently researched, tough and truthful, yet compassionate. It is absolutely a must-read for any Christian considering international adoption, anyone involved in the industry, or anyone advocating for international adoption. 2. Choose a country before you choose an agency, and choose a country that is implementing the Hague Adoption Convention. Though this alone will not guarantee an ethical adoption, it will help significantly. Countries which have signed to the Hague Convention are required to have a program which prioritizes domestic adoption. They also must have a central authority capable of regulating international adoption, which helps to ensure that a particular child is truly needing adoption. Keep in mind that if you choose a non-Hague country, you must do far more research on both the country and your agency if you want to ensure the adoption will be ethical. 3. Do not choose a country based on whichever seems to be the fastest, easiest, and cheapest. Choose a country based on how well their adoption program is organized, and whether they have a long-standing, effective program. Do your own research as to the adoption laws of that country. Find out how the country decides whether a child should be adopted, and how they determine who can adopt that child. Find out for yourself whether or not you qualify. Unfortunately, you may not even be able to trust all of the information on the Department of State website, since it is currently not accurate for Tanzania. 4. This one is my own personal soapbox: If a country has a residency requirement to adopt a child....then either move to that country or choose a different country! You follow your own country's adoption laws....what gives you permission to break another country's laws? 5. After you have chosen a country, then look for a trustworthy agency that works in that country. During the course of this series, some people have asked me for a list of "good" and/or "bad" agencies. I can't do that. It is a spectrum. In all honesty, at this point I would have a hard time trusting most agencies that work in non-Hague countries--and there are probably hundreds of those agencies. Most agencies are not evil. However, many demonstrate ethnocentric principles that I cannot endorse. How long have you worked in this country? Does the orphanage require a donation? (If so, then it's not a donation, it's a fee.) 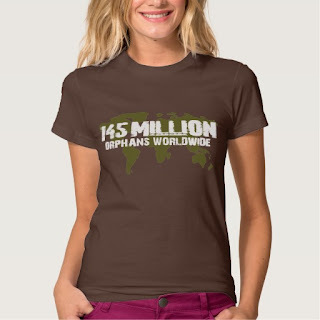 What kind of confidence do you have that the orphanage will use that money in an ethical way? More suggested questions for agencies here, from Jen Hatmaker. Google the agency's name along with "corruption" and see if anything comes up. Pay attention to Facebook groups, blogs, and message boards by other families who have adopted from that country or with that agency. Do not discount what they have to say. What this means: Do not go into international adoption if what you only want is a healthy baby--unless you are willing to wait for years to be matched. However, if you are willing to bring home an older child or a special needs child--a "waiting child"--then international adoption could be what you are looking for. Most of the corruption in international adoption has been fueled by the demand for healthy babies. Yes, there are some legitimately abandoned or orphaned babies available--but not often. Make sure you fully understand this reality before you decide to adopt. ***Special note on "waiting children." Unfortunately, I've heard situations where even this concept is abused by adoption agencies. Sometimes children are posted on websites as "waiting" when they are still living with family and haven't even been approved for adoption. Before you choose a waiting child, you must have already gone through all the other precautionary steps. Part 7: Is There Hope In This Mess That We've Made? This post is a particular plea to my Christian brothers and sisters. On the morning of his fourth birthday, my precocious nephew Natie told his Mom, "I talked to God last night, Mommy. God told me that I can skip four and go straight to five." Of course, we all had a good laugh on that one. It's cute when a four-year-old claims that God told him to do something like skip a birthday. Yet for some reason, when an adult claims that God told him to do something, we don't question it--no matter the claim. I met a woman once who claimed that God told her to go to Africa as a missionary. Unfortunately, God didn't give the same message to her husband. So she dumped the husband and moved to Africa anyway. Uh, really? God would tell you to do that? Sometimes Christians buy into the lie that if God tells someone to do something, the argument is closed. The problem is that the way that God "tells" a person to do such things is usually based on either some sort of feeling or mystical experience, or an out-of-context verse of Scripture. When many adoptive parents talk about their adoption experience, "God's call," "God's will," and "God told me to," comes up again and again. I can understand this. I do believe that God put the desire in our hearts to adopt. Yet that strong desire has to submit itself to God's revealed will in Scripture. After the catastrophic earthquake in Haiti, a Christian woman named Laura Silsby and a group of Baptist missionaries tried to smuggle 33 children out of the country without any authorization, purportedly to get them adopted. She had been warned by multiple people that she did not have the documentation to remove the children from the country, yet she was unfazed. When Silsby and her group were later arrested by Haitian authorities, they claimed it was spiritual warfare. After all, they had been on a mission from God. The authors of In Defense of the Fatherless write, "While we agree that adoption and orphan care involve a spiritual battle, we have also seen a disturbing trend among Christian adoptive families. Some Christians argue that anything standing in the way of an 'orphan' coming home to America is the work of the enemy. For example, when a child's case is under review by the US Embassy, some Christian families say that anything that slows down the case is spiritual warfare--rather than the work of government officials who are trying to protect a child from trafficking." I have to admit that this issue is personal for me. 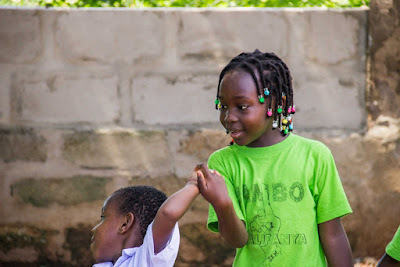 As I have been fighting against the illegal international adoptions that have started in Tanzania, I continually read and hear, "But God told me to." One agency (who has refused to communicate directly with me) even posted on their website that God will hold in judgment those who are speaking out against these adoptions, and that any prospective parents should ignore us. Wow. That hurts. Here I am, a Christian missionary who has lived in Tanzania for 12 years, has adopted four children domestically, and is reading the same Bible they are....but apparently, I have no idea what I am talking about and God will judge me for it. A friend of mine who is fighting this battle with me told me that this attitude is one of the reasons she has rejected Christianity. After all, she is non-religious, and is striving to follow Tanzanian law, yet these self-proclaimed Christians are casually dismissing the law in the name of "God told me to." What has happened to the Christian adoption movement, that we have spiritualized it to such a level that it negates all the other commands of Scripture? How about "Let everyone be subject to the governing authorities" in Romans 13? Or does that verse only apply to American laws? How about Proverbs 22:22, "Do not exploit the poor because they are poor and do not crush the needy in court?" How can justice for the poor include taking a family's children because of their poverty? Should our desire to adopt a child supersede the laws of a country? Does God allow us to decide that we know better for that child than her country's government? Are we so concerned for the welfare of a child that we ignore the fact that her family could be exploited in the process? Are we so fixated on adoption as rescue that we are willing to allow it to overrule God's direct commands in Scripture? Of course, it's absolutely noble to fight for a child who truly needs a family, and to pray that God will change the hearts and minds of those in authority. Let's do that wholeheartedly. But let's not justify corruption, bribery, and skirting around a country's laws in the name of "God's will." 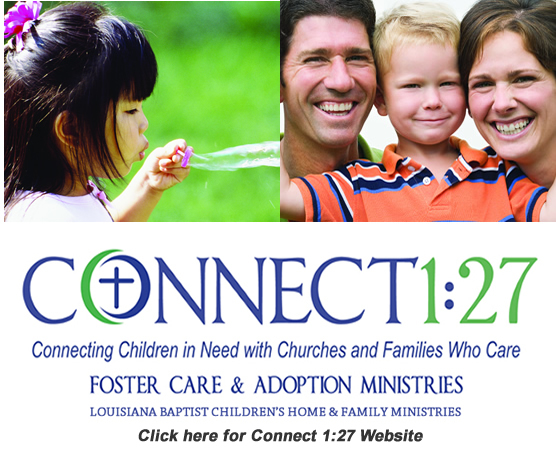 Ask any adoption advocate for their key verse, and they'll immediately quote you James 1:27. Religion that God accepts as pure and faultless is this: to look after orphans and widows in their distress. Funny thing is that we constantly quote this verse, but we all know that it's really the orphans that are most important. The widows? Well, they are just old ladies living in trailer parks. Sure, it's nice to visit them, but they're okay out there. There's really no widow crisis--just an orphan crisis. But think about it. In Scripture, what is the synonym for orphan? Fatherless. In fact, the King James version uses the word fatherless instead of orphan in this verse. What does fatherless assume? The kid has a mother. A widow. I would bet, given the historical context, that James 1:27 wasn't referring to two separate groups of people. James could have put orphan and widow in the same verse because often orphans and widows went together. Back then, widows were not always old ladies living alone. Often they were young, and they were mothers. What we know today as single moms. The problem is that we often have an infatuation with children. Children are easy, we often think. We see them as helpless and vulnerable and needing our rescue. We see their small sad faces and our parental instincts kick in. It's easy to have compassion for a child. Why, then, do we ignore the question of where all these children came from? Behind every poor little child's face is a suffering mother and father. There's a reason why children end up in orphanages, and most of the time, it's not because their parents are evil. It's because their parents are broken. Yet somehow, we would rather just help the child. Orphans are so much easier to care about than widows. We can start by shifting our mindset: We are not called to be the rescuers of the world's children. Adoption is not the only answer, or even the primary answer, to the orphan crisis. Ultimately, the Church needs to re-shift its focus to The Family. If you want adopt internationally, do it only from countries which have a strong, established, regulated adoption program. In most cases, this will only be countries who have signed to the Hague Convention, and I will write more about this in Part 6. For those countries who do not yet have the infrastructure for international adoption, then be a cheerleader and supporter for other ministries and programs that keep kids in families or promote domestic adoption. Unfortunately, adoption advocates in the U.S. have a reputation of condemning countries who try to tighten up on their adoption regulations. That should not be us. For example, just last week, I received news that Uganda has just passed a new adoption law. It will close the "guardianship" loophole (see Part 2 of this series), promote domestic adoption, and significantly decrease the number of international adoptions. As an American adoption community, how should we respond? With anger at the Ugandan government, accusing them of a lack of compassion for their children? Or with gratefulness that the government is working hard to prevent corruption and child-trafficking? Of course, my heart hurts for those adoptive families who are now stuck in the middle of the adoption process in Uganda. But ultimately, we should be celebrating, not mourning, Uganda's efforts--and any other country who does the same! This is great news! 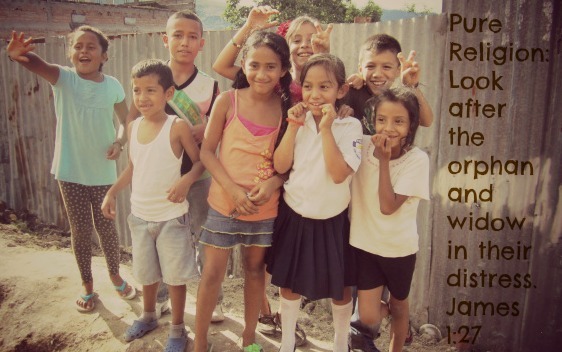 In addition, there are lots of ways you can participate in, support, or even start ministries that are working at orphan prevention and family reunification. Karama Collection supports women all over Africa and raises money for Young Life camps in the process. Started by a friend of mine. Noonday Collection features free-trade items from all over the world. Sifa Threads is located right here in Dar es Salaam and is also run by a friend of mine. Financially support or volunteer for organizations which focus on not just vulnerable children but also their families. Here are just a few, but there are many more. When considering your support for an organization, look for examples of family preservation and orphan prevention. In our fervor to fight for the orphan, let us not forget the widow. Let's look to fulfill all of James 1:27. **I am not insinuating that an adoptive family should be responsible for the well-being of the birth mother of a genuinely relinquished child, as that is usually not a healthy situation for the family or the child. I'm just asking for a change in mindset in the American church to broaden our focus beyond just children. ***I need to add an important note here. There are times, in any country--just as in the U.S.--when a man, woman, or family chooses to relinquish a child for adoption for reasons other than poverty. Though most of the children in Tanzania who are adopted domestically were abandoned, I have friends here who have adopted relinquished children with known mothers. I know their back stories, and I completely support the decision for these children to be adopted, just as I support the decision for birth mothers in America to voluntarily relinquish a child for adoption. However, in each case I know about, the adoptive family was a resident of Tanzania. They knew the culture, and in most cases, had a relationship with the family who was giving up their child. In short, it worked because these were domestic adoptions. 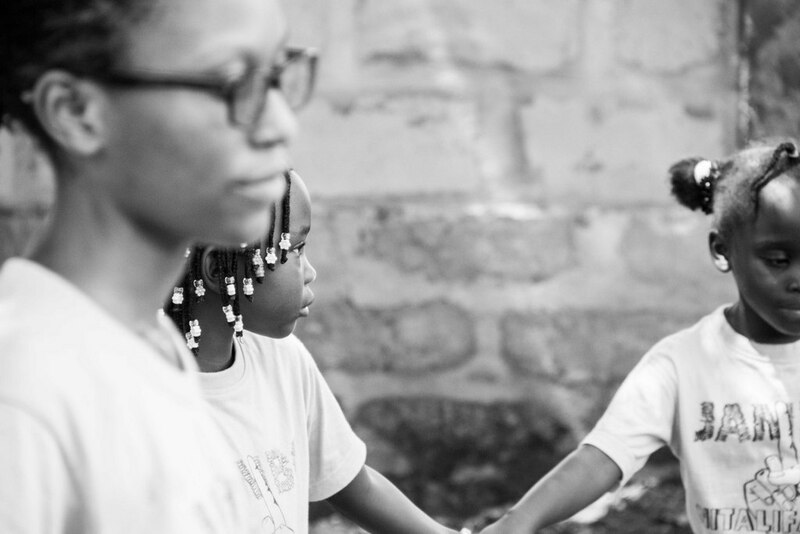 Unless a country has strong adoption infrastructure, a U.S. adoption agency is usually not able to make the distinction between a "poverty orphan" and a genuinely relinquished child, especially because money will always be involved. This is why I am advocating for family-based ministry and domestic adoption in developing countries as an alternative to international adoption. It starts with a genuine need: A war, an earthquake, or an AIDS epidemic decimates a country. Thousands, millions of children are left vulnerable. It's highly publicized, and images of sad, pathetic children are blasted through the media. An adoption agency representative from America approaches an orphanage, a lawyer, or a government official from this country and asks about starting an adoption program. Their eyes light up--this will be a great way for the country to deal with its orphan crisis, and a way for themselves to earn a little money on the side. It's a win-win. Yet the country has very little infrastructure. It is trying to recover from a catastrophe and everything is in chaos. Many government institutions no longer exist. The court system is barely hanging on. Internet, electricity, and water supply are sparse. Everyone is just trying to scratch out a living. But the adoption program starts, and children start being matched with families. At the beginning, everything is great. There are plenty of truly orphaned children available. The lack of infrastructure assures that the process is quick and relatively easy. Word spreads among families in America wanting to adopt, and within a matter of months, hundreds of families have applied. Dozens of agencies jump on the bandwagon. After all, adoption agencies are businesses--sometimes even for profit--and in order to keep their business going, they need a ready supply of children. Usually, they don't actually set up shop in the country--they just find a "facilitator" on the ground who helps them process the children. Local lawyers, orphanage workers, and government officials suddenly find themselves with a regular, dependable, lucrative income in a country that is falling apart at the seams. The problem is that after just the first few months, the supply of genuinely orphaned children has mostly dried up, especially for healthy babies and toddlers, which is what Americans usually request. And here we see the problem: The government is barely hanging on. The country has never established international adoption laws, let alone a centralized system for adoption. The process is haphazard. Agencies are not licensed to work in the country--they just are working privately with their facilitator or orphanage director. There is no centralized authority to control the process. But now everyone is making money. So what happens? The agencies hire people to "find" children. Or rather harvest them. Sometimes they find true orphans. But the evidence shows that many times, that means coercing pregnant mothers, lying to families about an "education sponsorship program in America" or even kidnapping--but they are determined to find children to meet the demand. The agency doesn't ask questions. The lawyer or facilitator forges the paperwork. 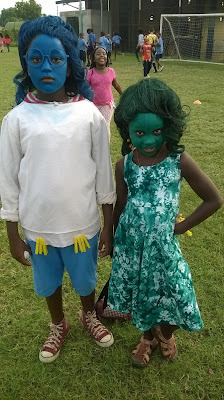 The children's identities are erased. And there's no government infrastructure to stop it. Eventually--usually after just a few years--the whole system collapses under corruption and the entire program is shut down, usually leaving hundreds of waiting adoptive families devastated. Meanwhile, the agencies--needing their "supply"--move on to the next country. It's a worst-case scenario, but unfortunately it has played out over and over and over again in countries all over the world. And the worst part? The children suffer, the birth families suffer, and the adoptive families suffer. Who gets off scot-free? The adoption agencies. Less than twenty years ago, a massive baby-buying operation went on in Cambodia. Hundreds of babies were purchased from their parents for as little as $20, and the adoptions were facilitated by an American woman named Lauryn Galindo. The children's identities and names were reinvented on all legal documents. Yet when the U.S. authorities finally caught up with her, "Galindo wasn't charged with child-trafficking because the United States doesn't have a child-trafficking law. While there are laws against trafficking for the purpose of sexual or labor exploitation, they don't apply to adoption." (Source here.) Galindo was sentenced to 18 months in prison for visa fraud. For the crime of trafficking over 800 children, she got 18 months in prison. Total. How is that possible? Because U.S. laws do not include any provisions for children trafficked through adoption. Talk about a loophole. Usually, the worst that can happen is that an agency will get shut down. The hard truth is that U.S. adoption agencies have very little accountability for their actions. Let me be clear: This does not happen in every country. This scenario generally does not happen in countries with a strong infrastructure and strong central adoption authority. However, adoption agencies should have no business setting up adoption programs by skirting around a country's laws, or trying to get children adopted from a country which has no laws and no infrastructure. The level of irresponsibility of many adoption agencies is positively breathtaking. Yet unfortunately, as far as I can tell, these practices are the norm. Every year, American families fork over tens of thousands of dollars to these (often "Christian") agencies and trust them wholeheartedly to do the right thing. Something needs to change. The Dark Side of International Adoption, Part 2: Where Did We Go Wrong? I just couldn't understand it. Tanzania's law is crystal clear: You must be a resident for at least 3 years if you want to adopt a child. I had worked directly with the social welfare department for ten years and they were never willing to compromise on the residency requirement. So how could these U.S. agencies get away with opening an international program in this country, with families whisking in on tourist visas to pick up a child? "The law governing adoptions in Uganda is...clear about the requirements for international adoption. (b) has fostered the child for at least thirty-six months under the supervision of a probation and social welfare officer." Hmmm, I thought. Sounds similar to Tanzania's law. In fact, it's even tougher than Tanzania's law, because Tanzania only requires a six-month foster care period. So how are hundreds of American families adopting from Uganda? "Certain courts in Uganda can issue a 'Legal Guardianship Order,' which transfers parental rights of a child from one adult to another. This was designed to cater for circumstances such as if a child's parents can no longer provide for the child or if the child is at risk of abuse. It is an instrument of law to protect a child at risk. It was not designed to enable international adoption. In 2013, 97% of adoptions from Uganda to the USA used this Loophole, ignoring the Ugandan Adoption Law." All of a sudden, it made sense to me. The reason my concerns about Tanzania were being ignored is because American adoption agencies have been pulling these kind of shenanigans all over the world and getting away with it. What they are trying to do in Tanzania is not an exception, it is the rule. For many U.S. agencies, skirting around a country's adoption laws has become common practice. Why is that a big deal, you might ask, if it means children's lives are being saved? It's a big deal because it's encouraging corruption--and corruption always stifles economic growth and justice, especially for the poor. And it's a big deal because corruption in an adoption system inevitably leads to children being stolen or coerced from poor families. So how did we get here? Where did we go wrong? You've all probably seen the statistics: 150 million orphans worldwide. Some even say 200 million orphans. That's a lot of children. And it makes sense why compassionate Americans would recoil in horror at those statistics; why tens of thousands of people jump on the adoption bandwagon to save these children's lives. We imagine millions of babies and small children, languishing alone in orphanages, waiting for a Mommy to save them. Except.....most of them already have a Mommy. What? But we thought they were orphans. This is where definitions matter. UNICEF defines an orphan as an child who has lost at least one parent. 150 million children have lost one parent. The number of children who have lost both parents? 18 million. Still a significant number, but far lower than 150 million. The number of children living in orphanages worldwide? Even smaller: 8 million. And 4 out of 5 of those children have living, known parents. This is what it means: There are millions of vulnerable children in the world. No question about that. Many have lost a mother in childbirth or a father to war. Their parents need help. They need job training and opportunities. They need addiction counseling. They need the gospel. But they don't need their children to be adopted. YES--there are children in the world who need adoption. As you will see in future posts this week, I am still an advocate for international adoption, because there still is a time and a place for it, and a way to do it right. But what must change is the mindset that there are millions of children out there who need us to rescue them through adoption. In reality, the number of children who need adoption is much smaller. I will be discussing those implications in other posts. I think sometimes we imagine 150 million children on a train heading for a cliff. It's up to us to save their lives....and that can only happen through adoption. Adoption has been often been painted as the answer--and the only answer-- to the orphan crisis. And this is where the misunderstood statistics lead agencies and families to the wrong conclusions. If adoption is literally the only hope for 150 million children, then we should be willing to beg, bribe, and steal our way into saving their lives. But if adoption is the only hope for just some of those children--and there's other solutions for the vast majority of them--then we need to reconsider the means we are using to get to that end. I'm looking deep inside myself here too, my friends. International adoption is not always the result of ethnocentrism. In fact, I think that international adoption, in many ways, can help us to fight our own ethnic prejudices in ourselves, our churches, and our communities. It is a good and wonderful thing when racial walls are broken down through the love of a family. We must examine our hearts. I look at the evidence. 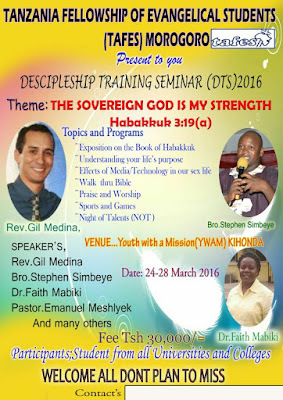 I look at what is happening in Tanzania. I look at what has happened, and is happening, in many countries around the world. I see American agencies breaking the laws of other countries in order to make adoptions happen. I see American agencies facilitating corruption in adoption by paying bribes. I see them taking dangerous advantage of the lack of infrastructure. In many cases, I do not believe that these agencies--or the families who trust them--are evil. But I do think that many have an inherent belief that even if a child is snatched away from his parents, even if a mother was coerced into giving up her child--that the child is better off with an American family. Why leave a child with a desperately poor mother in Africa when he can be given an education, Disneyland, and karate lessons in America? 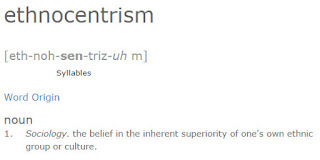 This is ethnocentrism. This is the belief that we as Americans know what's best for the world's children. We justify breaking their laws because we believe we can take care of their children better than they can. It's ugly; it's unbiblical; and it's got to stop. I need to make it clear that I am not casting judgment on any parent who has adopted a child internationally. Though our kids were adopted domestically in Tanzania, we were on the path to adopt a child from Ethiopia before our agency lost its license there. We also had strongly considered adopting from Uganda or Congo, and we would have done it, had the way opened for us. I never dreamed this kind of corruption was taking place, as I'm sure is the case for most adoptive parents. Of course, many international adoptions are entirely ethical. And if they were not, then I believe in God's sovereignty and I trust in His redemption in making something beautiful out of something broken. But as an adoption community, once we know more, we cannot ignore it. We can't let it continue. That said, I do believe that adoption corruption did not happen by accident. Though I believe that (most of the time) adoptive parents are in the dark about these things, there are other parties who are not. And that's the focus of my next post: U.S. adoption agencies' role in international adoption corruption.